As we draw closer to the holiday season our minds often turn to family, friends and the special moments we hope to share with them. Often this time of year can also be busy with travel, and all the trappings which that entails. Although we are often distracted by the joy and warmth of the season, it can sometimes be difficult to ignore the anxiety of locking up your home and leaving it unoccupied for days or weeks at a time, so thoughts turn to home security. Last year a record 107.3 million Americans traveled for the holidays. Try to imagine over 100 million homes with their lights always off, newspapers stacking up on their front porch, and no home security measures put in place. Potential burglars are always on the lookout for sure signs that a house is vacant, and according to recent statistics, a burglary takes place every eighteen seconds in the United States. With the Lutron line of smart home products, you can control lights and window blinds with ease from your smartphone or tablet. You can always give the appearance of being home by periodically opening or closing blinds throughout the day, and turning on interior or exterior lights. It’s a clever home security measure, and a great deterrent. If you think you’ll be too busy to check on the app, simply create a schedule in advance, and the Lutron app will manage your lights for you. Have you ever left on vacation and suddenly felt a pang of fear because you weren’t sure if you locked the front door? With August Locks you can always be certain that your doors are secure. With an easy to use smartphone app, you can lock your door from anywhere, and even unlock the door remotely if you have a housekeeper or pet sitter stopping by. 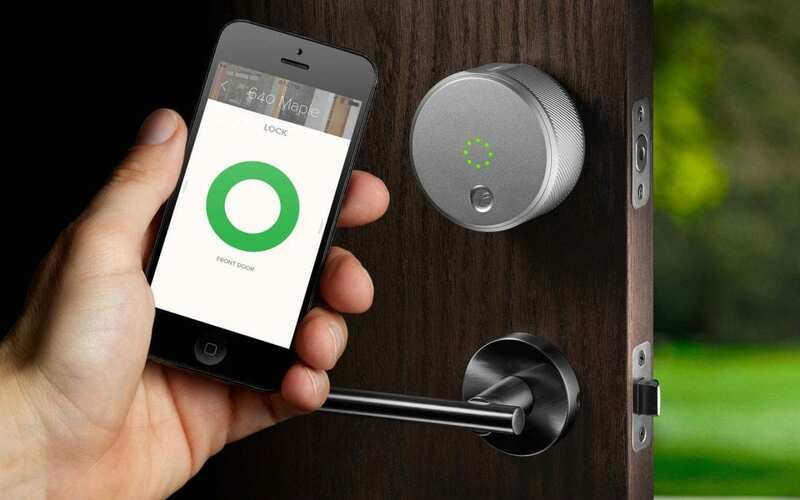 When about 30 percent of burglaries are through an open or unlocked door or window, a smart lock is a smart home security solution. Unfortunately, life doesn’t get put on hold when you’re away. People may still ring your doorbell, and packages may still be delivered. The Ring Doorbell Camera is the perfect home security solution to this problem. Not only does it alert your phone when someone is at the door, but it also has two-way communication and a camera, so you’ll know exactly who’s there. The best part is, they don’t have to know you’re not home if you don’t want to tell them. Contact us at 805-880-1200 for a free estimate on upgrading your home’s security in time for the holidays.